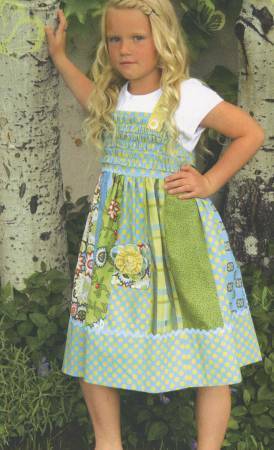 Comfy Apron from QH Textiles Pty. measures 20" x 40". 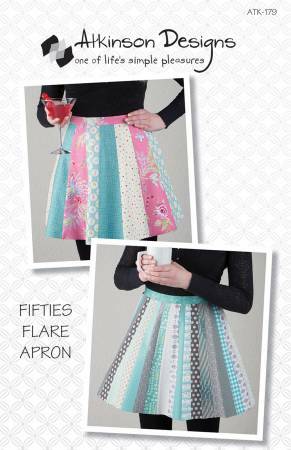 Fifties Flare Apron by Atkinson Designs. Get ready for cookies cocktails and company! 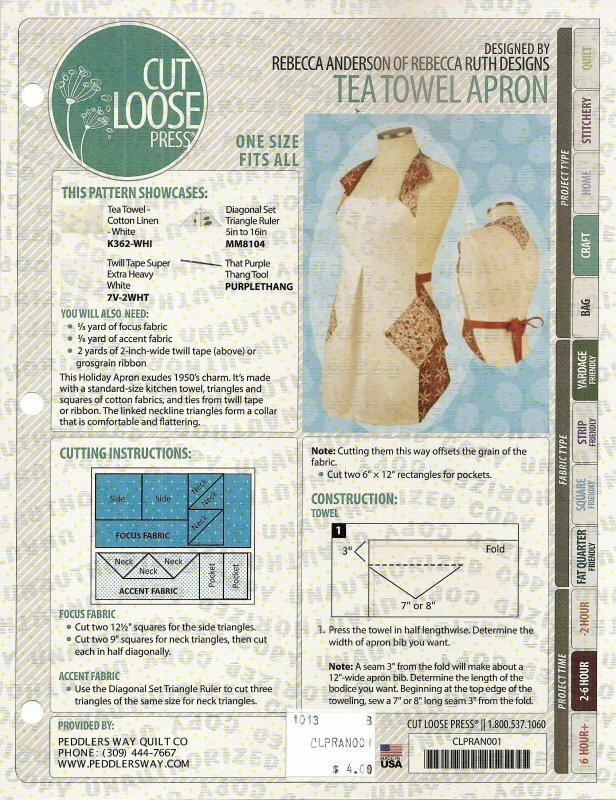 Terry's stitch and flip technique makes a completely reversible apron. No special ruler required. Holiday Bibs from The Whole Country Caboodle. 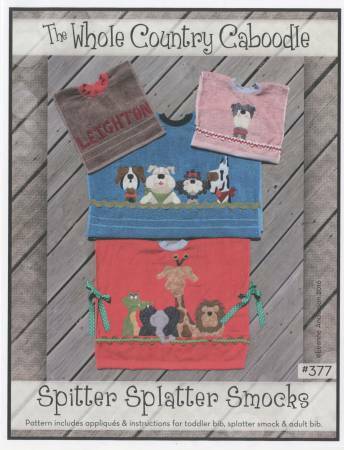 Pattern includes instructions for 3 styles of bibs and 6 appliques. 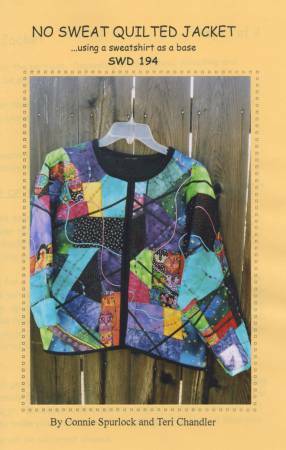 No Sweat Quilted Jacket by Connie Spurlock and Teri Chandler. Uses a sweatshirt as a base. 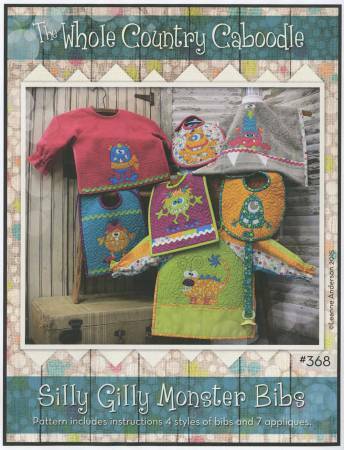 Silly Gilly Monster Bibs from The Whole Country Caboodle. 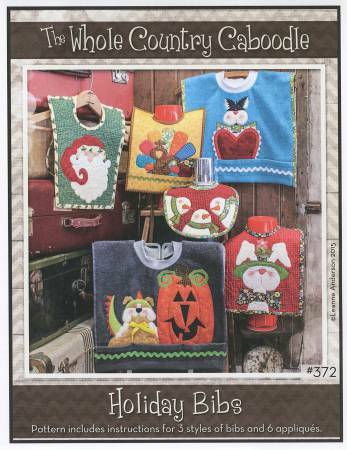 Pattern includes instructions 4 styles of bibs and 7 applique. 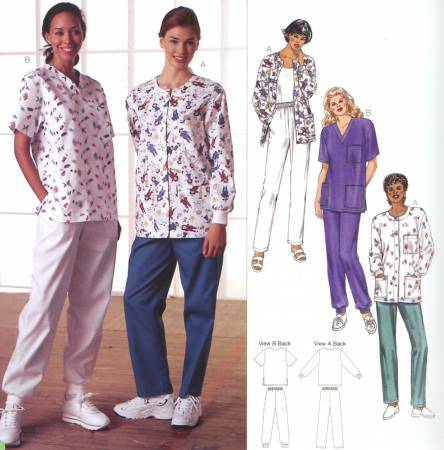 Sloppy Joes from Abbey Lane Quilts includes a men's pattern and multiple sizes for boys. Spitter Splatter Smock from The Whole Country Caboodle. Pattern includes appliques and instructions for toddler bib splatter smock & adult bib. 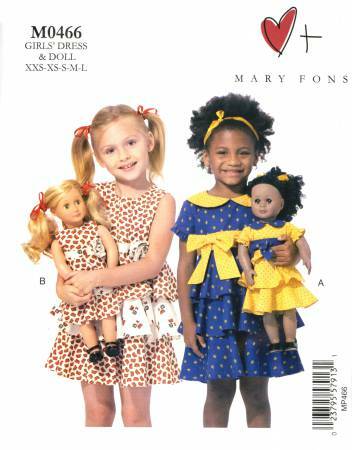 Sunny Dress from Butterfly Kisses patterns for girl sizes half to eight years old. 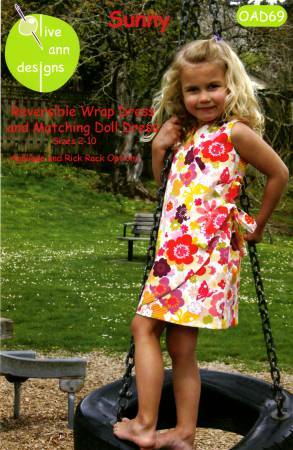 Sunny Reversible Wrap Dress & Doll Dress from Olive Ann Designs is a reversible wrap dress and matching doll dress. Sizes 2-10. 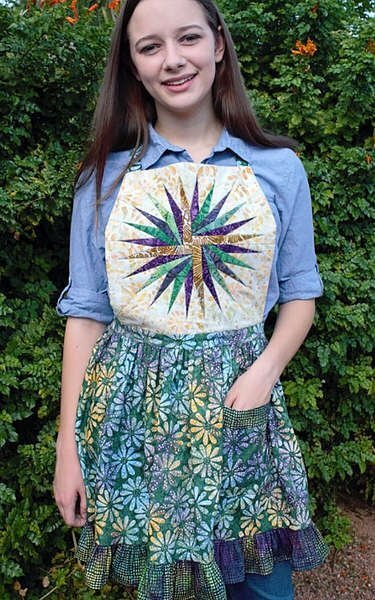 You're A Star Apron by Kelly Grant for Cut Loose Press is one size.